GEORGIA – A faithful volunteer at a local food distribution center, Sheila never dreamed her family would one day be on the receiving end of the help she so often provided to others. 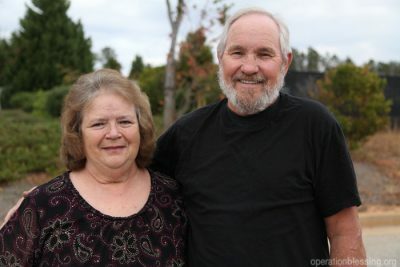 When Sheila’s husband Lacy sustained several injuries from a motorcycle accident, they found themselves struggling to make ends meet. With Lacy unable to work and Sheila retired, their limited income simply wouldn’t be enough to get them through until he was able to work again. “We’ve always been in a position to help others, but then it was us in need,” Lacy said. 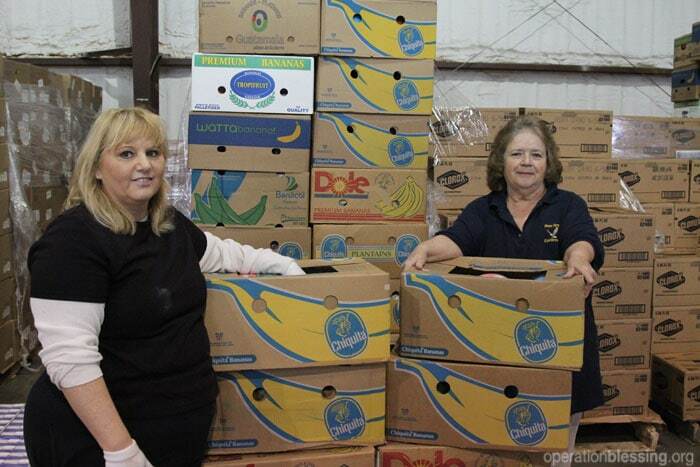 They turned to the Operation Blessing-supported food distribution center where Sheila had volunteered for so long, and there they were able to get food and other necessities that helped make ends meet during their most challenging times. “We’re thankful for the support that was given to us when we needed it, so now it is up to us to help others,” Sheila said. And that is exactly what they are doing. Lacy, fully recovered and back to work, helps organize motorcycle rides for the needy, while Sheila continues to volunteer each week at the distribution center that partners with Operation Blessing to help over 250 local ministries and non-profits serve more than 3,000 families each week.